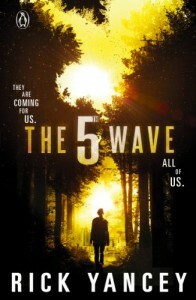 ●Plot: 4.8/5 Very profound and mind-boggling. This is so scary…the idea of it. Sort of Falling Skies-ish. I'm looking forward to the movie. ●Characters: 4.8/5 Intense being in their heads sometimes. They are flawed, yet likable. ●Flow: 4/5. I probably had the most issues with the flow. ●Book Cover: 4/5 It could have been better…I think I find it confusing. ●The Feels: 5/5 I had to stop reading it sometimes because of the way it made me feel. ●Ending: 5/5. By the last 2/3rds of the book, I could not put it down. Cliffhanger: Not really. Just a "to be continued". Will I continue the series: Yes, I am listening to The Infinite Sea right now on Audio. This book freaked me out with its intensity, but I did have a few issues with the flow of the story. The random switching between Cassie's and Ben's head would throw me off because I didn't know it was happening until a few paragraphs into a new chapter and then I would have to reread those first few paragraphs once I knew whose head I was in. Also, sometimes the inner dialogue going on in their heads would switch from past experiences to present experiences, back and forth, within one breath; and leave me confused. I did get used to it eventually and it becomes easier to keep up then. I decided to listen to the 2nd book on Audio, to see if it would clear up those issues.